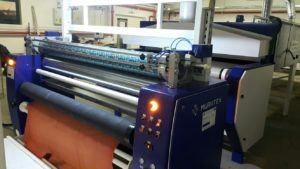 Our rotary screen printing machine is a compact and versatile design which is suitable for printing single colour designs. It can also be used for coating and the application of adhesive for foiling. The machine comes in various widths, up to 3200mm. 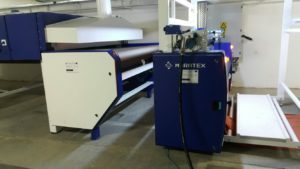 We also have a wide range of dryers to accompany the printer . We can offer a very competitive screen manufacturing service.